Thinking about grabbing one of Sony's new Google TV-powered high-definition television sets for the holidays? The electronics maker recently unveiled its first round of Google TV products including four HDTVs ranging from 24- to 46-inch screen sizes. All four feature 1080p resolution, an Intel Atom processor, 4 HDMI and 4 USB 2.0 ports and Wi-Fi connectivity. Sony also unveiled a Google TV Blu-ray player. Android-based Google TV includes the power to search for video online and in your local programming schedule, Web browsing capability and access to third-party apps such as Netflix streaming. 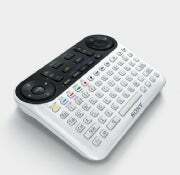 Here's a breakdown of everything you need to know about the Sony's new Google TV products. The 24-inch NSX-24GT1 has a manufacturer's suggested retail price of $600, the 32-inch NSX-32GT1 has an MSRP of $800, the 40-inch NSX-40GT1 will go for an MSRP of $1,000 and the 46-inch NSX-46GT1 has a suggested retail price of $1,400. The Blu-ray player. (Click to zoom. )The Blu-ray player, model NSZ-GT1, sells for a suggested retail price of $400. You can preorder the TV sets and the Blu-ray player right now on SonyStyle.com. PC World's Robert S. Anthony reports that Best Buy will start offering Sony's Google TV-powered devices on October 24. Best Buy has not announced pricing. What comes preloaded on the set? Sony's TVs will come preloaded with several Google TV apps including CNBC, NBA, Netflix, Pandora Internet radio, Twitter, YouTube and Sony's Qriocity premium video streaming service. Google TV users will have access to the Android Market in early 2011. The televisions and the Blu-ray player support 802.11 a/b/g/n Wi-Fi. All five devices also have an Ethernet port if you prefer a wired Internet connection. All five devices also come with an RF remote that looks like a cross between a PS3 controller and a mini-QWERTY keyboard. In fact, Mike Abary, senior vice president of Sony's Home Division, said, "Some design elements [for the remote] were borrowed from the PS3." You can also use your Android device or iPhone as a Google TV remote. What's next for Google TV? Sony's announcement marks the second major release for Google TV devices after Logitech unveiled the Revue set-top box in early October. When Google announced Google TV in March it only mentioned Sony and Logitech for its device partners. However, if Google TV is a success, I wouldn't be surprised to see more manufacturing partners jump on the bandwagon in 2011. Although, Panasonic has said Google TV is too expensive to include in its HDTVs, according to Bloomberg Businessweek.